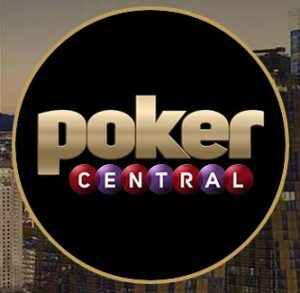 Vlogger Andrew Neeme and Poker Central stole the spotlight at the recently concluded American Poker Awards (APA). The 4th annual APA was the biggest awards ceremony till date and the organizers gave out 20 awards to poker players and media personnel for contributing to the success of poker in 2017. There were not a lot of surprises for most of the awards but a few of them were indeed surprising and were met with controversy and debate. Poker Central came to the awards night after being nominated in a number of categories. The company was nominated in eight categories for their various programs and personalities. At the end of the night, Poker Central went home with four trophies which included Poker Podcast of the Year award for their Poker Central Podcast by Remko Rinkema, Brent Hanks, and Will O’Connor; Poker Broadcaster of the Year with Nick Schulman; Poker Media Content of the Year for Poker Central documentary Dead Money: A Super High Roller Bowl Story and the Biggest Influencer in Poker with Poker Central creator Cary Katz. Katz’s win was one of the controversial ones, having beaten Daniel Negreanu, Doug Polk, and Matt Savage for the award. For one, his influence wasn’t as strong on the felt despite his high high-roller attendance, and some believe that he wasn’t yet up to standard with regards to what people expect from “influencers” in the social media sphere. In Katz’s defense, he was instrumental in creating exciting new high-roller events, such as the US Poker Open and Poker Masters. He has also contributed immensely on poker broadcasting with his work in bringing back the ‘Poker After Dark’ show. While Katz’s win saw a few tongues wagging, it was a different story for Andrew Neeme, who won both Video Blogger of the Year and People’s Choice Award for Poker Personality of the Year. Neeme was able to best Negreanu, Polk, and Joe Ingram for the Vlogger award, and received over 10,000 fan votes to win the People’s Choice Award. Neeme is best known for grinding in smaller stakes $5/$10 and $2/$5 cash games but his biggest contribution to the poker community comes through his vlogging. The Las Vegas vlogger was unable to make the awards ceremony since he was in South Africa for a poker field trip. However, he turned to Twitter to thank everyone for making his victories possible. Other poker players who took home awards at the APA include Art Papazyan for Breakout Player, Scott Blumstein’s WSOP Main Event for Tournament Performance, Ema Zajmovic for being the first woman to win a WPT title for Moment of the Year, Matt Savage for Industry Person, Bryn Kenney as the 2017 GPI American Player of the Year, and Kristen Bicknell as the 2017 GPI Female Player of the Year. This entry was posted on Tuesday, February 27th, 2018 at 1:44 am and is filed under Poker Industry News. You can follow any responses to this entry through the RSS 2.0 feed. Responses are currently closed, but you can trackback from your own site.